Richard Somers was born at his father’s home and tavern on the corner of Bethel and Shore Roads during the Revolutionary War when his father was a Colonel in the local militia and a certified privateer. Somers learned to swim and sail in Great Egg Bay and this was his backyard when he was a young boy. Sent to Philadelphia to school Somers was close friends and schoolmates with Stephen Decatur, whose father was also a Revolutionary War sea captain. They studied at the Philadelphia Free Academy and were known to engage in fisticuffs in the cemetery behind Independence Hall where John Barry is now buried. 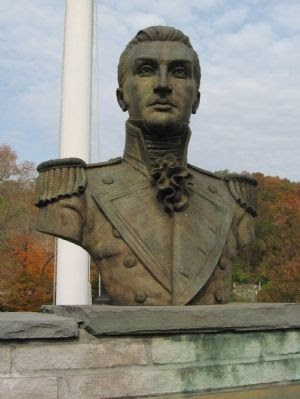 Barry, the Irish born “Father of the U.S. Navy” was named the first flag officer of the US Navy and instructed by President Washington to educate the first class of officers. Barry selected Somers and Decatur as two of his first midshipmen to serve on the frigate USS United States, which was built at the South Philly navy yard. After serving under Barry, Somers and Decatur were promoted to Lieutenants and given command of their own ships, Somers the schooner Nautilus and Decatur the schooner Enterprise, which were ordered to the Mediterranean to fight the Barbary Pirates. Both Somers and Decatur captured pirate ships as prizes, including one ketch they rechristened the USS Intrepid, which Decatur used to sneak into Tripoli harbor disguised as a pirate ship to scuttle the captured American frigate USS Philadelphia. The Philadelphia ran aground while chasing a pirate corsair into Tripoli harbor and the pirate prince Yousef Karamanli wanted a million dollars in ransom for the 300 captured officers and men. The Americans were determined to free them by defeating the pirates in battle, and they did mount a series of successful attacks against the pirate fleet at Tripoli, each time Somers and Decatur leading flotillas of ships that engaged the pirates. Then a plan was devised where Somers and a small crew of volunteers would take the Intrepid back into Tripoli harbor outfitted as a fire ship filled to the brim with explosives. They were to light a fuse, escape in rowboats and allow the Intrepid to explode in the midst of the anchored pirate fleet. With Lt. Henry Wadsworth (Uncle of Longfellow) as his second officer, and Lt. Israel and ten seamen, they have been compared to modern day SEALS, though while today’s SEALS are much better trained and equipped, it was the type of mission that today would be given to SEALS to execute. Unfortunately, the Intrepid exploded prematurely for reasons unknown, and all 13 men were killed and their bodies washed ashore. The chief surgeon from the Philadelphia was permitted to take a party of American prisoners to bury them and they were laid in two distinct graves, one for the three officers and the other for the ten seamen, “one cable’s length” from the walls of the old castle fort, which still stands today. And there they lay buried until 1930 when an Italian Army road crew uncovered the remains of five of the men and reburied them in marked graves at the old Protestant Cemetery, a short distance away. When the US Navy would held a ceremony in their honor in 1949 it included the Mayor of Tripoli, Yousef Karmanli, a namesake and direct descendant of the tyrant who led the pirates in 1803. When the US Air Force utilized nearby Wheelus Air Force Base, the officer’s wives club took responsibility for the upkeep of the cemetery graves and held Memorial Day services there, but once Gadhafi took over in a coup in 1969, the Americans were forced to leave and the cemetery graves were left unkept. In the early 1970s two American tourists from North Jersey stumbled upon the cemetery graves overgrown with weeds and wrote an article that was published in the national American Legion magazine. That article sparked the first modern day attempt to repatriate their remains, but at the time, we at war with Gadhafi because of his support for terrorism. When the political situation permitted, the Somers family and Somers Point municipal leaders engaged in direct talks with the Gadhafi family through their Gadhafi Charities Foundation, which was also used to pay the families of the victims of the Lockerbie terrorists attack for which Libya had taken responsibility. 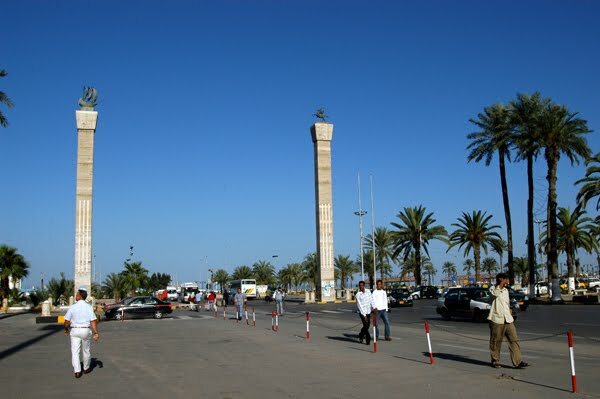 The Gadhafis had no qualms about returning the remains from both sites, and actually had an archaeological dig uncover buttons and bones at the original grave site at what is now Green Square, the epicenter of the Libyan Revolution. The opposition to the repatriation of the remains of these men stems primarily from the US Navy and the Department of Defense, whose studies concluded that the cemetery site should be the permanent resting place for these men. They fail to even recognize the existence of the original grave site outside the walls of the old castle fort, the exact location of which they say is “lost to history,” although its location has been known for two centuries. When the current troubles began in mid-February, a number of those who have been involved in previous efforts to repatriate the remains of Somers got together and saw an opportunity to call attention to this issue, bring it to the forefront, and make it a national issue rather than just one of concern to people from Somers Point. Congressman Frank LoBiondo has always been cooperative, but unsure as to what he could do so he mentioned this situation to Rep. Mike Rogers (R. Mich.), the powerful chairman of the House Intelligence Committee. Rogers is an army veteran who had actually visited the cemetery in Tripoli while on a fact finding tour to Libya. He introduced a bill in Congress that requires the Secretary of Defense to do what is necessary to repatriate the remains of US servicemen from Libya, and attached the bill to the Defense Authorization Act that passed the House and is now being considered by the Senate. It should be acted on by the Senate early in September. In the meantime, through the Intrepid Project, we have been trying to expand the base of support for repatriation from just the Somers family and citizens of Somers Point and make it a national issue. We have since obtained the strong support of the American Legion and other veterans groups, the citizens of Somers, New York, which is named after Richard Somers, and the Wadsworth family of Maine. Sally Hastings, the President of the Somers Point Historical Society, participated in the trips to both Washington DC to meet with Rogers and to Somers, NY, where she invited the mayor and local historical society leaders to visit Somers Point in September. She has put together a slide show of graphics and a new booklet with the basic facts of the case and the current situation. Q: Other than the five graves at the cemetery, what became of the others? The eight others, including the three officers, are still buried at the original grave site outside the walls of the old castle fort which is now called Green Square, the epicenter of the revolution that will be renamed Martyr’s Square after Gadhafi leaves power. The only martyrs actually buried there are our Navy heroes. Yes. Some however, say the song really refers to the Battle of Derna, in which William Eaton, Sgt. Presley O’Bannon and eight marines, along with a ragtag army marched across the desert and captured the eastern port city of Derna. While that battle helped accelerate the acceptance of a peace treaty, there were a number of naval battles at Tripoli which led to the deaths of officers that are listed on the Tripoli Monument at Annapolis. 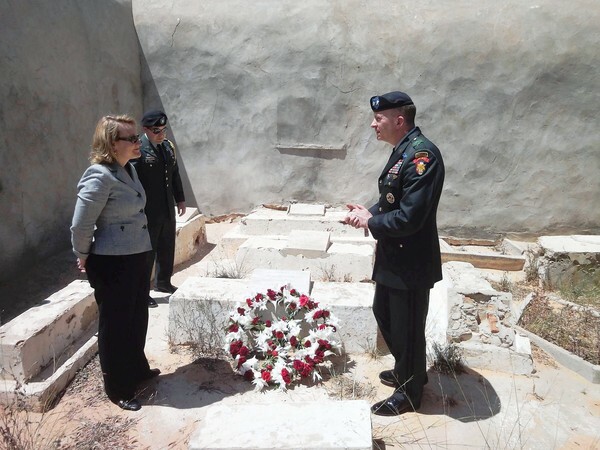 In addition, the American Battle Monuments Commission owns and maintains the graves of American military casualties at Flanders from WWI, Normandy from WWII and in Mexico from the “Halls of Montezuma” fame, but will not assume responsibility for the Tripoli graves. The recovery of one US serviceman from South America recently cost $30,000, and the cost of the recovery of these men from Tripoli will be paid for by the DOD POW/MP office and the Navy, since these men were enlisted in the Navy when they were killed. It is the policy of the US government not to leave anyone behind, and we just want this policy to include everyone, and not just those who die today, but anyone who has died in service of their country. These men died fighting for the same ideals and principles we fight for today. 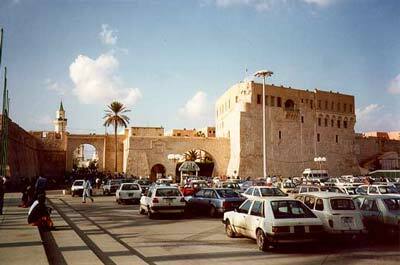 Here's a photo of what appears to be Green Square Tripoli with the Old Castle Fort on the far right. 700 yards from the walls of the fort are the graves of the officers and men of the Intrepid. 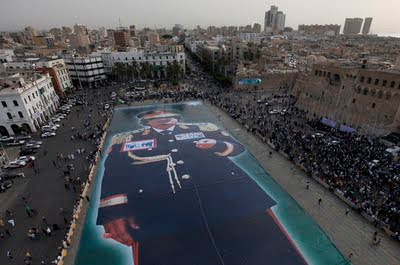 Photo by Ismail Zetouny/Reuters - A giant image of Libyan leader Muammar Gaddafi is unveiled at the Green Square in central Tripoli, Libya. Locals supporting namesake travel to Somers, N.Y.
By Staff Writer SHAUN SMITH Locals supporting namesake travel to Somers, N.Y.
SOMERS POINT – The effort to bring home the remains of Richard Somers traveled north last month when local leaders met with those of Somers, N.Y.
Mayor Jack Glasser traveled three hours to the Westchester County town named for Somers in 1808. He was joined by his son Jack, Sally Hastings, president of the Somers Point Historical Society, her husband Kirk, and members of the Somers family, Dean and Vicki Somers and Anita Smith. The town was founded in 1788 under the name Stephentown. During its July 4 celebration at Reis Park, on June 25 the townspeople of Somers (pronounced SO-mers) turned out to welcome Glasser and the Somers Point contingent. Getting there was a long time coming. Sally Hastings said she received a call from Somers, N.Y., about five years ago describing the bust of Richard Somers and the streets and parked named in his honor. She said she didn’t know there was such a town prior to the call. Then, she was contacted by the sister-city’s historical society vice president Grace Zimmermann. While they were there, Glasser received the key to the city from town Supervisor Mary Beth Murphy. Glasser, Dean Somers and Hastings were also presented with copies of the town’s charter documents naming it after Somers. “The warmth they showed to us up there was really grand – it’s just a beautiful area,” Glasser said Tuesday, July 19. Hastings said the group was received graciously with their host town having a luncheon and afternoon tea in their honor as well as a tour of the 33 square-mile town. “They were very, very nice and everything. Although it’s large, it’s homey,” Hastings said. He said they also gained the support of the townspeople to contact their legislators to support the Rogers-LoBiondo amendment that authorizes the return of the remains of Somers and the crew of the Intrepid to the United States from a mass grave in Tripoli, Libya. “We understand sometime in the fall we will be seeing more action with the National Defense Authorization Act and hopefully we will see some movement from one of our senators from the great state of New Jersey in support of this Somers amendment as we call it,” Glasser said. “It’s great to have an open dialogue with another town. We’ve asked the people of Somers, New York to come down for Richard Somers Day to receive the key to our city. Of course, it is a great exchange to celebrate the history concerning Richard Somers and the crew of the Intrepid,” said Glasser. Glasser said he was passionate about bringing home the remains of the fallen heroes. Glasser said he hopes to make it back to Somers. The Richard Somers Day ceremony will be held at 11 p.m. Saturday, Sept. 17 at a place to be determined due to ongoing construction around Somers Mansion. Less than 200 miles west along the Coast Road from Tripoli is the North African American Cemetery in Tunisia. Here lies the remains of thousands of America servicemen who were killed in action in the invasion of North Africa, at Casablanca and against Rommel's Africa Corps. 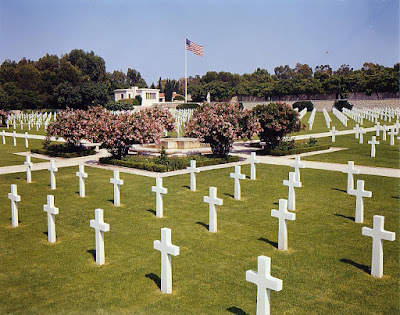 The North Africa American Cemetery is located in close proximity to the site of the ancient city of Carthage, Tunisia, destroyed by the Romans in 146 B.C., and lies over part of the site of Roman Carthage. 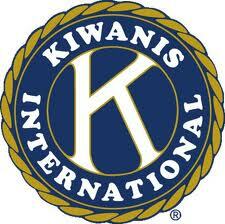 It is near the present town of the same name, 10 miles from the city of Tunis and 5 miles from its airport. 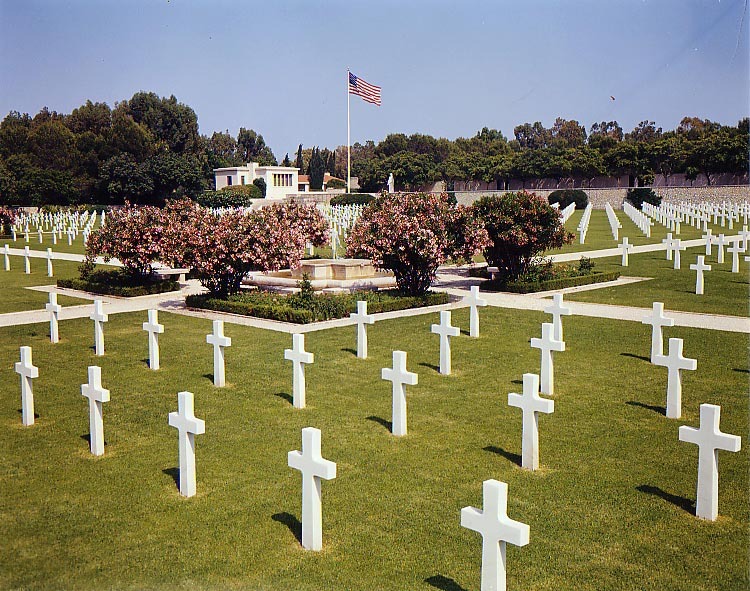 Following World War I and II, the interment of the remains of war dead was carried out by the American Graves Registration Service, Quartermaster General of the War Department. At that time, the next of kin authorized to make the decision regarding their loved one’s interment was given the option of having the remains returned to the U.S. for permanent interment at a national or private cemetery, or permanently interred at the overseas American military cemetery in the region where the death occurred. After each World War, the next of kin of Americans who were killed overseas were given the choice of what to do with the remains of their loved ones. The remains could be repatriated for burial in a cemetery in the U.S., they could be buried in a permanent ABMC cemetery overseas, or they could remain where they lay. While about 61 percent of the remains were returned to the U.S. and 39 percent were buried in ABMC cemeteries, several hundred families chose not to disturb the remains. These isolated graves can be found in town cemeteries, the war cemeteries of our allies, or even in the fields where they fell throughout Europe. Recognizing the need for a federal agency to be responsible for honoring American armed forces where they have served and for controlling the construction of military monuments and markers on foreign soil by others, Congress enacted legislation in 1923 establishing the American Battle Monuments Commission. Kelly NOTES: So the American Battle Monuments Commission is responsible for the maintenance of the graves of American military personnel killed in combat overseas including those killed in Mexico, as honored in the US Marine hymn, "From the Halls of Montezuma," but they aren't responsible for those Navy men killed "on the Shores of Tripoli." They were left to the dogs, buried in a mass grave at what is now a parking lot at Green Square, and then five of them were reburied in marked graves at Old Protestant Cemetery in Tripoli. Max Cleland has served his country for nearly 50 years. After graduating from Stetson University in 1964, where he was commissioned in the United States Army, Mr. Cleland obtained a master's degree in American History from Emory University in Atlanta. He went on active duty in the fall of 1965. He volunteered for Vietnam in 1967. Rising to the rank of captain, Mr. Cleland was wounded in combat and after a year-and-a- half in military and VA Hospitals, he returned to his home state of Georgia. Elected to the State Senate in 1970, where he served two terms, Mr. Cleland was appointed head of the Veteran's Administration under President Carter in 1977. In 1981, he returned to Georgia and was elected first as Secretary of State and then as United States Senator. Somers Point leaders want to bring back to the U.S. the remains of Capt. Richard Somers and 12 others killed in 1804 on a mission in Libya. Legislation supporting the effort has passed in the House. Even as the United States and its Western allies participate in a modern war in Libya, a small city in New Jersey and a congressmen are battling to bring home the remains of 13 American sailors who died there in another war more than 200 years ago. The remains couldn't be brought home until the current war ends. 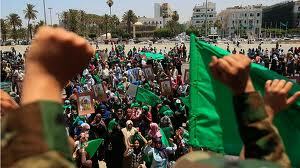 Eight of them lie in an unmarked mass grave underTripoli's Green Square, where supporters of Libyan leader Moammar Kadafi frequently hold anti-American protests. But even when hostilities cease, the movement to bring the sailors home faces stiff opposition at home. It's not a political issue; members in the House from both parties voted in late May for legislation that would repatriate, identify and honor the sailors with a military funeral, if there is a government in Tripoli that might cooperate. Rather, Navy officials cite military policy as a justification for leaving the sailors' remains thousands of miles away from their country. "Navy custom and tradition has been to honor the final resting place of those lost in downed ships and aircraft. The Navy considers the Tripoli cemetery to be the final resting place of these Sailors who sacrificed their lives for our Nation." Roughead's statement is consistent with the Navy's current position on the issue, according to a Navy spokeswoman. Rogers is not swayed. "They argue we own the keys" to the cemetery, said Rogers, chairman of the House intelligence committee. "That's hardly the same as the soil in Normandy, which belongs to the United States of America. That's so very different than being thrown in a hole in a mass grave in Tripoli." The Navy's stance doesn't sit well with the citizens of Somers Point, N.J., whose "favorite son," Capt. Richard Somers, led a U.S. expedition to Tripoli during the First Barbary War in September 1804. President Thomas Jefferson sent the newly formed U.S. Navy to fight Barbary pirates and put an end to the long-standing tributes the U.S. had paid to Tripoli for the rights to trade in the Mediterranean Sea. After pirates captured the U.S. warship Philadelphia and 300 crew members, Somers and his men developed an idea to break through Tripoli's naval blockade by setting off an explosion and fire on the fire ship Intrepid to create a diversion and allow other U.S. ships to enter the harbor and engage in battle. The Intrepid blew up prematurely, however, and the sailors' bodies were dragged through the streets of Tripoli and fed to a pack of dogs as U.S. prisoners of war watched. The prisoners begged the pirates to stop and were allowed to bury the sailors. "As a veteran, I'm appalled that we've left them there," said Jack Glasser, mayor of Somers Point who served four years in the Air Force and 20 years in the New Jersey Air National Guard. "For the many years I was in the military, I was always told not to leave anybody behind." Thanks to the work of people like Glasser, the effort to return the sailors home has gained traction in recent years. The first step was locating their remains. 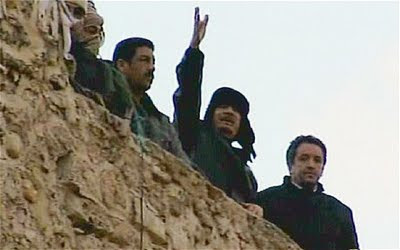 After corresponding and negotiating with the Kadafi family in 2005, Somers Point city and family leaders contacted archaeologists in Tripoli, who performed an excavation that turned up bones and naval buttons. Despite the successful excavation, the Navy still considers repatriation a non-starter. Michael Caputo, a volunteer coordinator for the Intrepid Project to bring the sailors home, acknowledged the Navy's logic. With tens of thousands of lost service members in the world, it may seem unfair to put 13 men "at the head of the line." However, he added that it seems flawed considering the fact that the sailors' remains are in a known location. "Our point: They're not lost men," Caputo said. "So get 'em and bring 'em back." Since at least 1840, family and civic leaders have been advocating for Somers' return, said Sally Hastings, president of the Somers Point Historical Society. But it wasn't until 2004 that the effort gained the political momentum needed to get the project off the ground. "For 207 years, a one-inch move was an accomplishment," Caputo said. "Suddenly, we moved six miles in three days." In 2004, while on a trip to Tripoli to check on Libya's nuclear weapons programs, Rogers was pulled aside by an aide who wanted to show Rogers the grave sites. A second mass grave, with five bodies, lies in the Protestant Cemetery — close to Green Square. The walls surrounding that second site were eroding, Rogers recalled Thursday. Thereafter, Rogers, an Army veteran, "felt morally obligated to do something about it." He pressed the Pentagon to take action, but Roughead's rebuff — and a similar one from the Navy this year — steered Rogers to a legislative route. A Navy spokeswoman said she could not comment on pending legislation. Rogers' bill now sits before the Senate, and he is optimistic that it will pass. If that happens, the Pentagon will be directed to retrieve the sailors' remains, pending a regime change and an end to hostilities in Libya. That could bring closure to a 200-year fight for the descendents of Richard Somers, including 66-year-old Dean Somers. "I just feel like, before I die, I'd like to see that body come back," he said. July 15, 2011, 4:57 p.m.
President Obama and his national-security team have said will be no "U.S. boots on the ground" inside Libya. 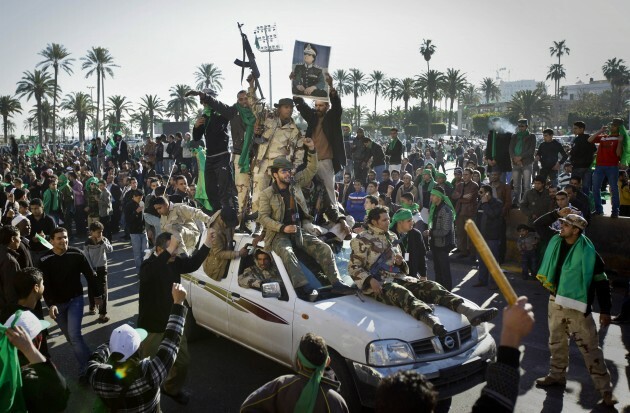 Yet 13 U.S. Navy commandos remain interred on Libyan soil. 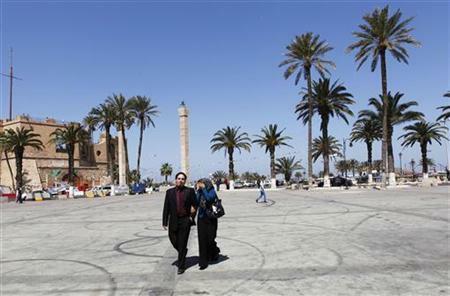 There's a growing push to bring them home after more than 200 years on the shores of Tripoli. It's a strange tale: the 13, led by Navy Master Commandant Richard Somers, were aboard the "floating volcano" USS Intrepid, which was to move into Tripoli harbor to be blown up amid the pirate fleet there. But the vessel detonated prematurely on Sept. 4, 1804, killing them all. Not sure who those Washington bureaucrats are, but - assuming Tripoli eventually becomes safe for U.S. forces might be time to bring Master Commander Somers and his crew home at last. The First Barbary War dragged on for four years. In 1803, Tripolitan fighters captured the US frigate Philadelphia and took its commander, Captain William Bainbridge, and the entire crew as prisoners. The Philadelphia was turned against the Americans and anchored in Tripoli Harbour as a gun battery. 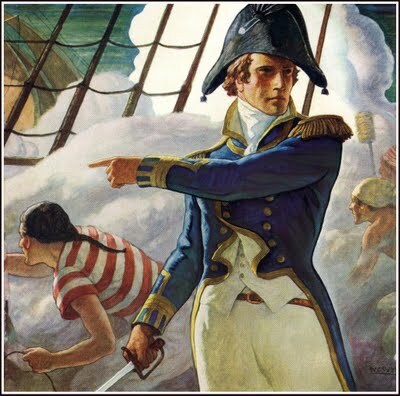 The following year, US Navy Lieutenant Stephen Decatur led a failed nighttime raid to retake the ship. Decatur’s men set fire to thePhiladelphia and escaped. The most colorful incident in the war was the expedition undertaken by William Eaton with the object of replacing the pasha with an elder brother living in exile, who had promised to accede to all the wishes of the United States. Eaton, at the head of a motley crew of 500 US Marines, Greek, Arab and Turkish Mercenaries, marched across the desert from Alexandria, Egypt and with the aid of American ships, succeeded in capturing Derna. Soon afterward, on June 3, 1805, peace was concluded. The pasha ended his demands and received $60,000 as ransom for the Philadelphia prisoners under the 1805 Treaty with Tripoli. New legislation would require the Pentagon to return the 200-year-old remains of 13 American soldiers from a mass grave in Tripoli. During the First Barbary War in 1804, sailors on the USS Intrepid, led by Captain Richard Somers, died in a explosion when their ship was attacked. Legislation making its way through Congress would require the Pentagon to locate and return the remains for a military funeral. Dean Somers, is one of the descendants of the U.S. sailors working with the Intrepid Project to return the bodies to the United States. Somers says his family is delighted and encouraged by the bill. "We've still got a long way to go," Somers said. "But we're more and more hopeful every day." Robin Young: From the Halls of Montezuma to the Shores of Tripoli. As we know the US military is currently involved in a Naval led mission in Libya. But more than two hundred years ago Thomas Jefferson sent US forces there to fight pirates who were plundering US merchant ships in the Mediterranean. In September 1804 Capt. Richard Somers led a crew of 12 sailors, including the poet Henry Wadsworth Longfellow’s uncle, on a daring secret mission to blow up the fortress guarding the harbor in Tripoli. They were spotted and attacked, all killed, and were buried in an unmarked grave, where they remain today, on the shores of Tripoli. Their decendants ever since have been trying to bring them home. He is a descedent of Captain Richard Somers. So Dean, has the effort to bring him home been passed on from generation from generation? How did you take up this mantle after 200 years? Dean Somers: I didn’t really follow this until I was 40 years old when my brother went down to the historical society and in their records found I was in the family line, and I’ve done a lot of research, and I have a great interest in this now. Robin Young: Others have interest as well. Rep. Michael Rogers, a Republican from Michigan, the chair of the House Intelligence Committee is one who says there is a military ethos that we never leave anyone behind. What is it you and the descendants want? Dean Somers: We want the bodies back so we can buy them correctly on American soil. It’s a discrace to have left their bodies over there for two hundred years. Robin Young: This is an uncomfortable part of the story, but there wasn’t much left. I mean the ruler of the area we now know as Libya, who ran these pirates, apparently when their bodies washed up on shore, sent attack dogs after them. Dean Somers: Yes, their remains were attacked by dogs. Robin Young: It’s a terrible story. You want to give them an honorary homecoming? Dean Somers: They could be buried possibly at Arlington, or where ever their families want them buried. It would mean a lot to the families. Robin Young: Tell us further why? We know the line in the Marines hymn comes fro their action, from the Shore of Tripoli. Others have said they were the original NAVY Seals with this mission they tried to pull off ? Dean Somers: Yes, just about that, they would do just what the SEALS would do today. Robin Young: Well, there is a bill passed by the House that requires the DOD to return their remains, that hasn’t yet been taken up by the Senate. But there were times when the US had better relations, in recent memory. Mommar Gaddafi was being brought back into the fold, he gave up his nuclear weapons, but now Libya is a mess. What’s your sense that this can be accomplished? Dean Somers: I think maybe if Gaddafi is taken out of the country and a new regime comes in, we might get the bodies back. There might be a change in the atmosphere over there. Robin Young: Are you in touch with other decedents? Longfellow’s descendents? Are you in touch with the other people. Dean Somers: Yes. I am in touch with the Somers descendents, yes. Robin Young: And what do they say? Dean Somers: They want the bodies back, too, absolutely. Robin Young: Thirteen men were killed, there could be a lot of descendents at this point. Dean Somers: A lot of them, we don’t know where the descendants are, but Wadsworth and others we do know where they are. Robin Young: His distant relative, Richard Somers, captain of the USS Intrepid, killed in 1804 while trying to take out the pirates there. Here are the names of the other Americans who were killed day. Besides Richard Somers and Henry Wadsworth. Back in 30 Seconds. Here and now. 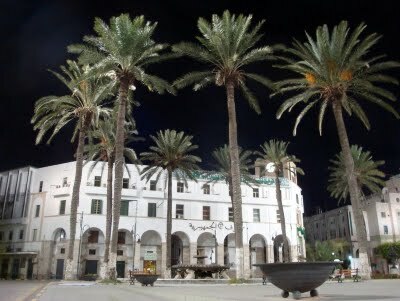 Green Square (Arabic: الساحة الخضراء‎ As Sāḥah āl Ḥaḍrā), also known as Martyrs' Square (Arabic: Maidan Al Shohdaa‎) is a downtown landmark at the bay in the city of Tripoli, Libya. The main commercial center of the city surrounds the square. Green Square, also formerly known as Independence Square, will be renamed Martyr's Square after the revolution. Green Square was originally constructed by the Italian colonial rulers. It features Tripoli's Red Castle on one side, with a wide avenue leading towards the seafront with two tall pillars. On top of the pillars are an iron-cast miniature wooden ship, the other one features a horse-back rider. Green Square is the location of eight of the thirteen graves of the men of the USS Intrepid, including the three officers - MC Richard Somers and Lts. Henry Wadswrorth and Joseph Israel. 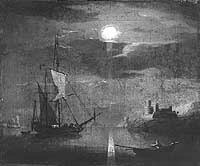 19th Century painting by G. Brooking, depicting Intrepid off Tripoli in 1804, illuminated by moonlight. Courtesy of Mr. J.M. Brotherhood, 1951. "Blowing Up of the Fire ship Intrepid commanded by Capt. Somers in the Harbour of Tripoli on the night of the 4th Sepr. 1804"
"Before the Intrepid had gained her Destined situation she was suddenly boarded by 100 Tripolines, when the Gallant Somers and Heroes of his Party, Lieuts. Wadsworth and Israel and 10 Men, observed themselves surrounded by 5 Gun-boats, and no prospect of Escape, determined at once to prefer Death and the Destruction of the Enemy, to Captivity & a torturing Slavery, put a Match to train leading directly to the Magazine, which at once blew the whole into the Air." 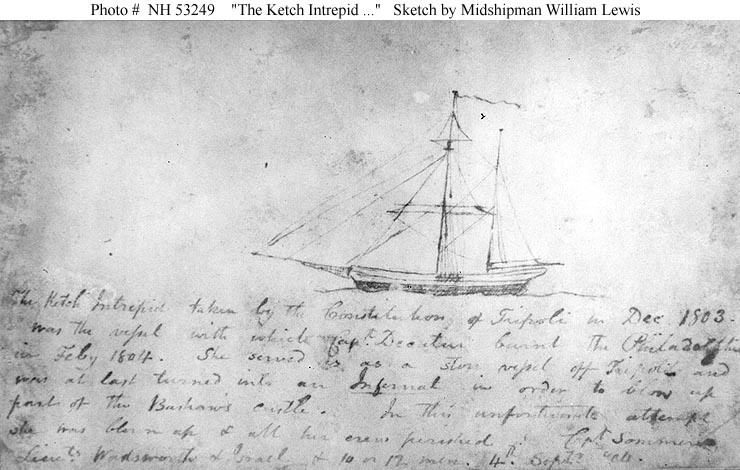 "The Ketch Intrepid taken by the Constitution of(f) Tripoli in Dec. 1803. Was the vessel with which Capt. Decatur burnt the Philadelphia in Feby 1804. She served as a store vessel off Tripoli and was at last turned into an Infernal in order to blow up part of the Bashaw's castle. In this unfortunate attempt she was blown up & all her crew perished. Cpt. Sommers, Lieuts. Wadsworth & Israel & 10 or 12 men. 4th Septr. '04." The original sketch was in the possession of Captain C.W. Cook, O.R.C.U.S.A., 1925. USS Intrepid, a 64-ton ketch, was originally built in France in 1798 for use in Napoleon's Egyptian campaign. Subsequently sold to Tripoli and named Mastico, she participated in the capture of USS Philadelphia on 31 October 1803 and was herself captured by USS Enterprise while en route to Constantinople, Turkey, on 23 December of that year. Taken into the U.S. Navy early in 1804 and renamed Intrepid, the ketch was placed under the command of Lieutenant Stephen Decatur and assigned a risky, but essential task: the destruction of the captured Philadelphia, whose presence in enemy hands threatened the U.S. Naval position in the Mediterranean. 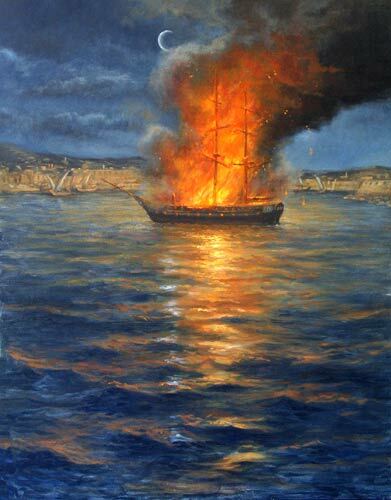 On the night of 16 February 1804, Decatur and his men sailed Intrepid into Tripoli harbor, boarded the ex-American frigate and set her afire. While the attackers made good their escape, the Philadelphia was consumed by the flames and sank. Following this action, Intrepid was inactive for some months, but during the summer of 1804 she was employed as a hospital and supply vessel, supporting the ongoing campaign against Tripoli. 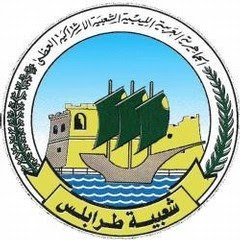 In late August she was outfitted with a large explosive charge, for use in an attempt to destroy much of the enemy fleet then moored in Tripoli harbor. On 4 September 1804, under the command of Lieutenant Richard Somers, Intrepid sailed on this dangerous mission. Apparently intercepted by the enemy while entering the harbor, she was destroyed in a violent explosion. Somers and his dozen volunteer officers and men perished with her. Green Square is the location of the unmarked grave of MC Richard Somers, Lt. Henry Wasdsworth, Lt. Joseph Israel and five volunteers who perished in the Sept. 4, 1804 explosion of the USS Intrepid in Tripoli harbor. 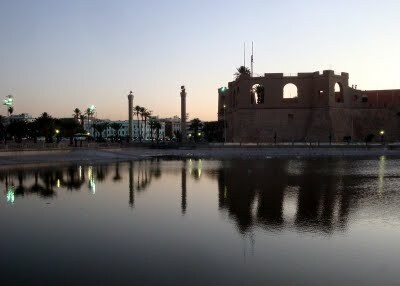 The Royal Miramare Theater used to be located across the Red Castle, but it was ripped down under Colonel Gadaffi after the 1960's to create space for large demonstrations. 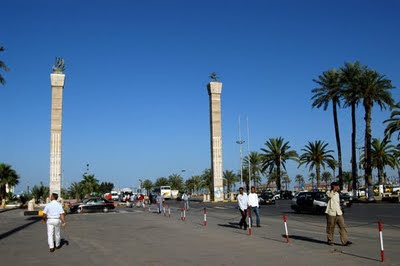 The square was named Independence Square during the Libyan monarchy and renamed Green Square after the 1969 revolution by Gadaffi, to mark his movement. The square used to be directly next to the sea, but land reclamation has left it further away from the shoreline. The National Museum, located within Tripoli's Red Castle (Assai al-Hamra).A part of it is said to have been built by the Spanish and the Maltese Knights of St. John during a short Christian interlude between 1510 and 1551 when the Turks took over. Most of it dates from the 18th century. It was also the quarters of successive Turkish governors. The Volkswagon Bug that Col. Gadhafi drove into Tripoli during his 1969 coup is also exhibited in the museum. 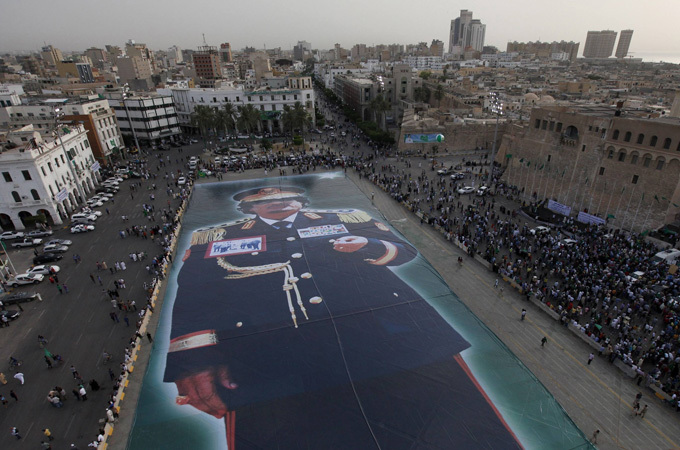 Green Square was the center of ceremonies marking the 40th anniversary of Gadhafi's coup, and is also the epicenter of the current Libyan Revolution. 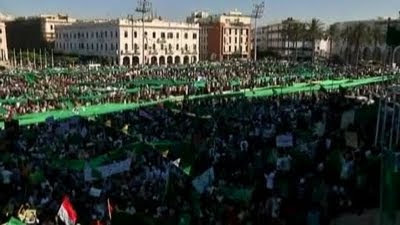 As part of the 2011 Libyan protests, since February 20 there are reports of both anti-government protests (20th and 25th) and a pro-Gaddafi speech rally (25th) occurring at different times in Green Square. 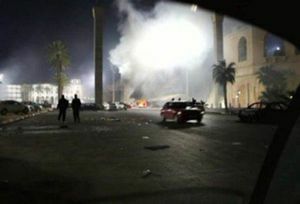 Due to violence in Tripoli it is not continuously occupied. Between 600 and 700 unarmed peaceful anti-gaddafi protesters where murdered in the square. "It was like a scene from a horror film." On July 1 2011 Gaddafi spoke to hundreds of thousands of supporters who gathered in Green Square to protest NATO troop involvement. Some of the supporters came to the protest armed, and at the end of the speech the sound of gunfire could be heard as the crowd applauded. After the rally, the bodies of executed political prisoners were dropped off at the doors of their families who refused to attend the rally. The remains of Master Commandant Richard Somers and seven other US Naval heroes are buried in an unmarked grave under this parking lot outside the walls of the Old Castle Fort at Green Square in Tripoli. 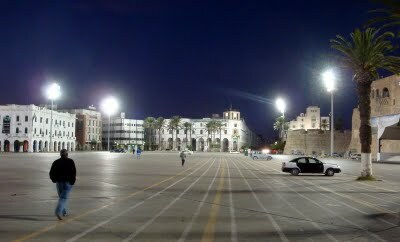 The Arab revolutions that are sweeping across North Africa and the Middle East center around the public square in each city, and in Tripoli, that is Martyr’s Square, which was renamed Green Square when Mohmmar Gadhafi assumed power in a 1969 coup, but will assume its original name of Martyr’s Square after Gadhafi leaves power. Their bodies were identified by the surgeon from the Philadelphia, and buried by a party of prisoners, “one cable’s length” (720 feet) east of the walls of the old castle fort, in two nearby but separate graves, one for the three officers and one for the ten seamen. They were buried on the shores of Tripoli, and there they remained undisturbed until 1930, when an Italian army road work crew uncovered the remains of five of the men. They were reburied about a mile away in what is known as Old Protestant Cemetery, a walled enclosure that also includes the remains of about a hundred others, mainly Christians from various European embassies who died there. In 1949, the USS Spokane put into Tripoli harbor, and honored those buried at the cemetery site with a formal ceremony, that included a bagpipe band and a descendent of the Karmanli dynasty who led the pirates two centuries ago. Through out the fifties and sixties, the cemetery site was maintained by the Officer’s Wifes Club of nearby Wheelus Air Force base, but the US military were forced out when Mohmmar Gadhafi assumed power in a 1969 coup. The cemetery site was then forgotten about and was overgrown with weeds and debris when two American tourists stumbled upon it, and wrote about it in American Legion Magazine (May, 1977). The article inspired many Americans, especially veterans and family descendents of Richard Somers and Henry Wadsworth, and they sought the repatriation of the remains of these men and the eight others who are buried in the original grave site outside the castle walls. By the 1980s however, the United States was practically at war with Gadhafi, who was held responsible for terrorists attacks against American soldiers in Europe. In response the United States bombed Tripoli, and hit Gadhafi’s tent, ostensibly killing his adopted daughter, who resurfaced after the February 17, 2011 revolution. and should be the permanent resting place for those men. When the revolution gets to Martyr’s Square in Tripoli, remember the officers and men of the Intrepid, and the fact that they are still buried there in unmarked graves under a parking lot, and should be repatriated home so they can be properly buried with full military honors.